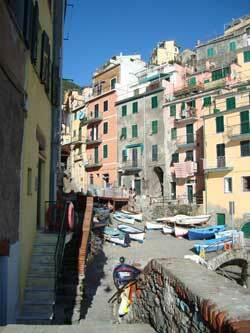 Liguria means sea, mountains, relax, good wine, excellent food, history and charm. A simple strip of land surrounded by the mountains and the deep blue sea, Liguria can wonder you with its amazing natural parks and a wide range of striking landscapes and curious places to discover, just perfect for walks, excursions, sunbathing, for trekking and for open-air sports. Get lost between the steep cliffs, the Mediterranean scrub forests, the touristic coastal areas, the renowned sea resorts, the harbours, the medieval suburbs of the hundreds characteristic citadels and small towns, diving into the sea or hidden on the hills-top between olive groves, vineyards and pine forests. Encircled by the Maritime Alps (in the west), the Apennines (in the east) and the Ligurian Sea, here you can spend your ideal holidays, in which you don’t have to choose between entertainment and relax, or between sea and mountain. When you discover the timeless villages, the charming landscapes and the romantic sunsets of the Ligurian region, you will find a place where dreams really come true. Delicious cuisine, breathtaking views, sandy or stony beaches, islands to discover, natural parks rich of flora and fauna, and Mediterranean fish species to discover in the deep-sea bottom…this is what awaits for you here! The provinces and the main cities together with the more important harbors of the region, are all located along the coast: Genoa, La Spezia, Savona and Imperia. Liguria has two civil airports available: the International stopover “Cristoforo Colombo”, in Genoa Sestri, just 6 kilometers far from the city center, and the Villanova d’Albenga Airport, mainly used for the touristic area of Western Liguria and for commercial export. You can marvel at the several picturesque and stunning towns, renowned all over the world, such as Lerici, Porto Venere, Portofino, Santa Margherita Ligure, Cinque Terre, Sanremo, which are also the favourite destinations of many famous personages belonging to industry and show business. For several years now, Liguria is a touristic destination loved by the travelers of all the world, most of all in spring and summer, the perfect seasons for excursions and trips through the several paths of the coast and of the regional hinterland, to admire the suburbs and the small towns placed in the valleys which stand as a jewel in the Ligurian landscape. 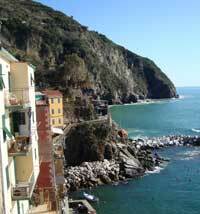 You can visit Liguria and Cinque Terre also for a day tour from Florence and Milan!